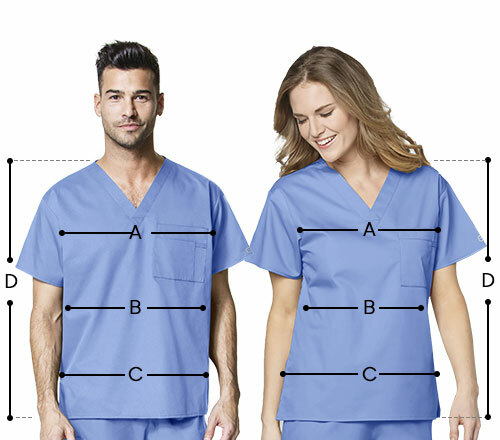 The women's mock wrap scrub top with a V-neckline is a great blend of fashion and functionality. 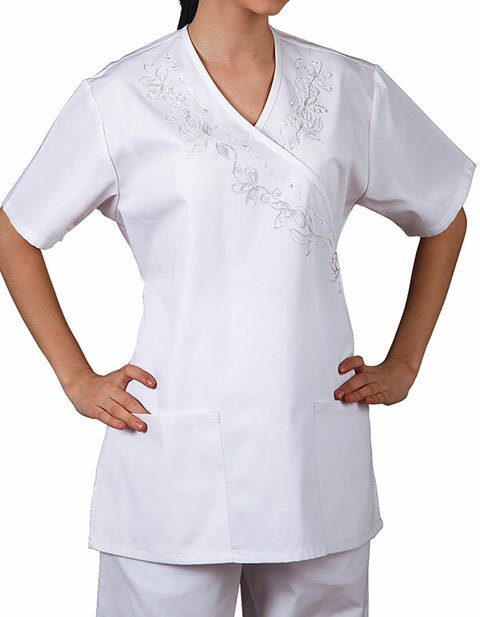 The delicately stitched embroidery runs down to the bias trimmed neckline creating an impressively beautiful tunic top. The tie accented at the back allows you to easily adjust to your shape while the two pockets designed in front provide safe storage for your paraphernalia.